Following his undergraduate education at LeMoyne College in Syracuse, NY, Dr. Thomas Rodenhouse completed his medical school training at the University of Louvain in Belgium. He completed one year of a rotating internship at the University of Manitoba in Winnipeg, Canada and one year of general surgery residency at Highland Hospital before entering the neurosurgery residency program at the University of Rochester. While at the University of Rochester, Dr. Rodenhouse trained under Drs. Frank Smith and Joseph McDonald and then entered the private practice of general neurosurgery here in Rochester in 1973. Dr. Rodenhouse came on the faculty of the University of Rochester Department of Neurosurgery in 1999 and currently serves as Associate Professor of Clinical Neurosurgery. In addition to his practice of general neurosurgery, Dr. Rodenhouse is a devoted teacher. He actively participates in resident education in the operating room and the resident clinic and has been the recipient of the Joseph V. McDonald Excellence in Teaching Award in the Department of Neurosurgery. 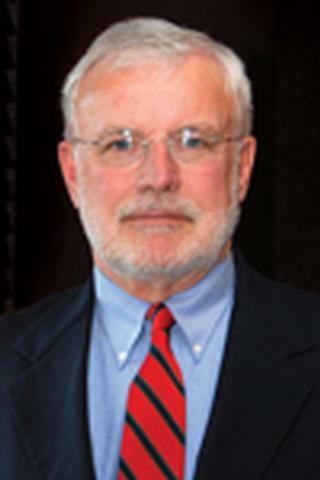 Dr. Rodenhouse has been active in the Neurosurgical Society of America and served as its Vice Present from 2007-2009. Dr. Rodenhouse's clinical interests cover the broad range of spinal disorders and spine trauma, cerebrovascular disease and brain tumors. Kimmell, KT; Petraglia, AL; Bakos, R; Rodenhouse, T; Maurer, PK; Pilcher, WH. "The History of Neurosurgery at the University of Rochester". Journal of Neurosurgery. 2014; 121(4): 989-994. Hiwatashi A, Danielson B, Moritani T, Bakos RS, Rodenhause TG, Pilcher WH, Westesson PL. "Axial loading during MR imaging can influence treatment decision for symptomatic spinal stenosis." AJNR. American journal of neuroradiology.. 2004 Feb 0; 25(2):170-4. Raffo S, Rubio A, Rodenhouse TG, Patel U, Bonfigilo T, Powers JM. "September 2001: 51-year-old man with seizures since childhood." Brain pathology.. 2002 Jan 0; 12(1):137-9.